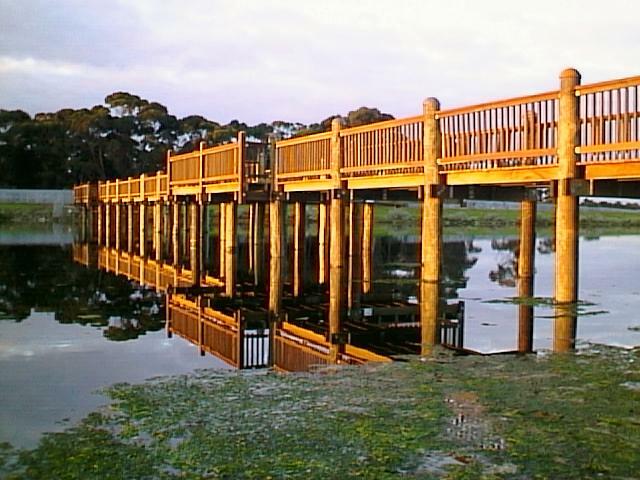 Bridge is constructed from treated spotted gum. Piles are 300 dia , 8m long driven to basalt bedrock. Total length of bridge is over 120 m.